Putting together a sun holiday packing list might sound tiresome, but for a stress-free vacay, you've got to do it. A tried-and-tested formula of interchangeable pieces that actually work (rather than remaining in a creased pile at the bottom of your case) and that you can simply pull together every time you go away will put the pleasure into packing. 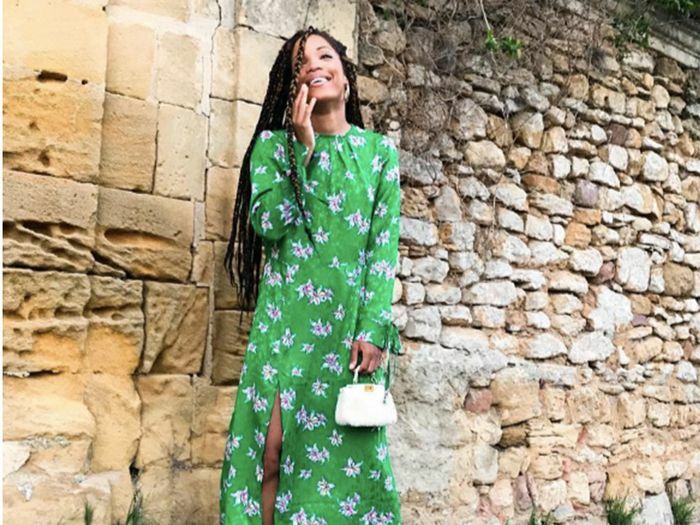 There are so many decisions to make on what to put on your travel outfit checklist—from deciding which sandals to pack to the best accessories to take. So we canvassed our team to create the ultimate edit, from dresses that will work across a variety of occasions, to the all-important jeans that you can fly and sightsee in. Debating over that cashmere jumper for the flight? Do it. Ditto the travel bag that will double up as a beach bag. 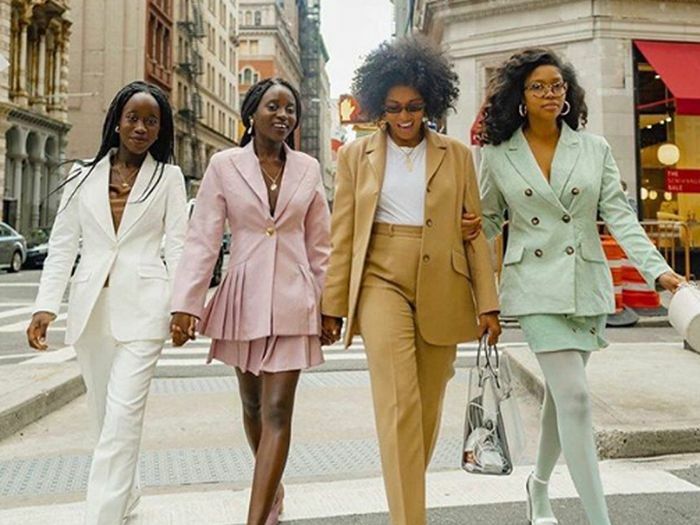 Every item in this guide is versatile enough to be worn more than once (meaning that if you choose to invest in some high-end pieces, you needn’t feel guilty). Keep scrolling for our definitive rundown of what to pack for a stylish vacation. This is for travelling in serious style. No more bits of paper knocking around in the bottom of your bag. They'll save you having to deal with the uncomfortable airplane set. Denim shorts with a sophisticated twist. Keep track of your stuff with a leather luggage tag. Keep harmful rays out of your face while still looking chic. Be the envy of everyone else on the beach. How fab is this bit of kit? While you might be travelling to a warmer climate, it does get cold on the plane, so you'll want something to wrap up in when you're feeling the chill. Cashmere is always a winner. When you want to add a bit of colour to your outfit, all you need to do is tie a silk scarf around your neck, bag or through your belt holes. Simple. Of course, you need swimwear. And yes, you definitely need two types. One for sunbathing (i.e the trusty bikini) and one for if you fancy a swim–the one piece. You always need a bikini in your bag. This one is already proving a hit with influencers including Lucy Williams. Trust us—it's all about shell accessories. These will go with your swimwear just as much as they will your chic evening outfit. Perhaps the most useful item in your luggage—a cosmetic case for every type of holiday and situation. It's make any daytime outfit instantly evening-ready. You'll use it year after year. While there may be heat where you're going, there's no denying that some places get downright chilly in the evening. Pack a leather jacket and throw it over your shoulders when there's a breeze. Going somewhere a little colder? This sweater will be your go-to. If you're thinking about packing another, stop and consider your layers—you don't want to overfill your bag. For obvious reasons, you're going to need a couple of T-shirts. Stick to two colours—preferably muted tones like black, white, navy, grey or stripes. 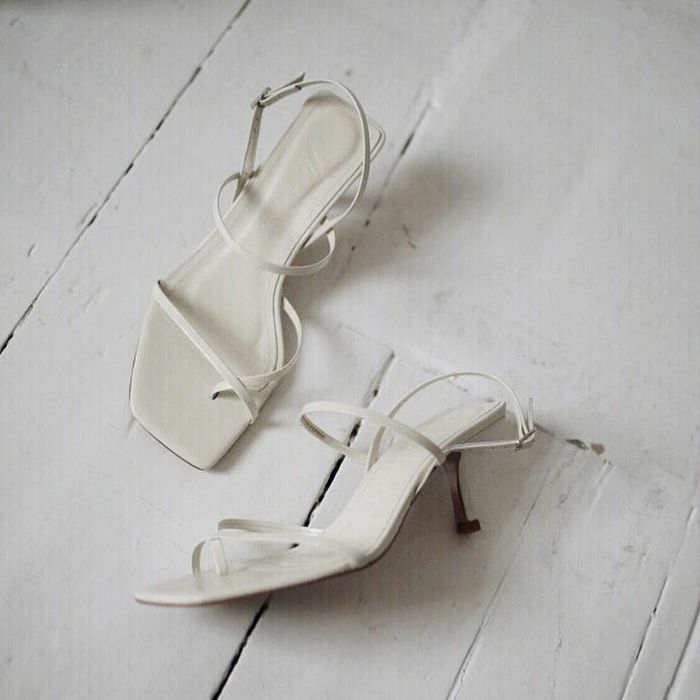 You can then wear these under a jumpsuit, with a slip dress or with flowy trousers. Long sleeves are great for cooler nights or colder destinations. We suggest saving this top for the evening, but it will make any swimsuit look instantly more luxe. Just add heels and jeans and you're good to go. This is your true multitasker. Want to wear a dress on your night out? Wear a slip dress. Want to go sightseeing? Wear a slip dress over a T-shirt. There is seriously nothing this item can't do (except for the actual packing, of course). Pair this jumpsuit with gold earrings. They'll go with all your brights, prints and neutrals. It's the miniskirt that never fails on holiday. The perfect pair of white jeans start with Frame. With jeans, skirts or dresses—you'll get so much wear out of these. A classic for a reason. These sneakers will look good for a day in the city or at the beach. Pack a pair of classic Converse for walking. And don't forget socks. These Tevas are so comfortable and can surely take you from the hotel pool to the beach. Easy to wear by the pool yet chic enough for a night out. Next up, these are the summer dresses to invest in already.